Yes! It is a fact. After building solid lives on UK soil as immigrants themselves, they now want to vote to get out of the EU because opened borders will bring in more immigrants. Is it ironic, amusing or hypocritical of them? Well, none of the above. It is actually very pragmatic. Immigrants usually compete for lower wage jobs and for social benefits. Bringing in more immigrants would mean harsher competition and diminishing social benefits. 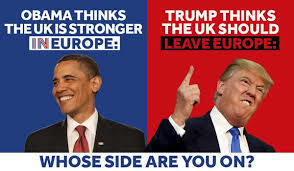 “Obama says to stay IN” while “Trump says to LEAVE the EU”. Interestingly, campaigners have not used Hilary Clinton as an “IN” advocate but have tricked Obama in as he is highly popular in Britain. 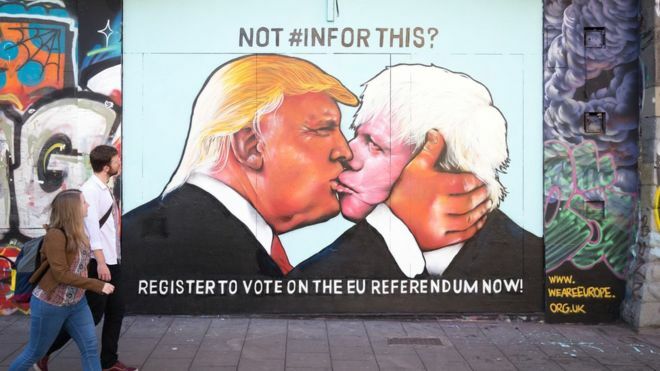 Furthermore, some threads on Instagram take advantage of the physical resemblance between Boris Johnson, ex mayor of London and lead “LEAVE” campaigner and Donald Trump, trying to discredit the former by association and by portraying them both as radical and hasty decision makers. 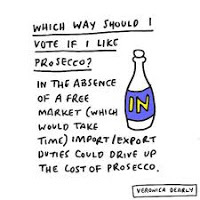 On the same note as the wine conversation, posters claiming “Remain” votes use word play to emphasize the supplementary costs on import goods such as the Romaine Lettuce (“romaine” = “remain”) or the French Fromage (“Fromage not Farage “(Neil)). 5. Cat conversation – Could cats stay out of it? No, they could not. How would cats vote on tomorrow’s referendum? Well one article says that they would vote to LEAVE and then refuse to go 🙂 There is a myriad of threads involving cats on the topic of EUReferendum and the #catsagainstBrexit hashtag has huge coverage on all platforms. Media outlets such as the BBC and Forbes have also joined the conversation. I am sure there are plenty out there I am not aware. this is what I could spot today on social media, I will make further updates if other noteworthy conversations do pop up. Finally, I would dare a prognosis for tomorrow’s vote based on the vibe I got from social media. 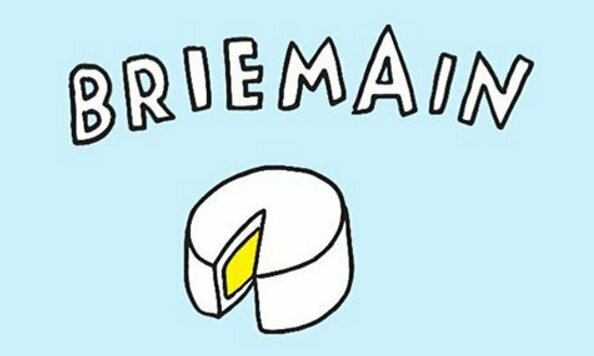 The “Remain” campaign seems to be more articulate and data driven, while the “Leave” campaign seems to be that of the restless and nonconformists. Results tomorrow: 65% Remain – 35% Leave. What do you think? Let us know in the comments bellow or on our Facebook Page and Twitter account. UPDATE: I am in dismay! Social media mislead me :)) Farewell Britain!